While many New Jersey residents have been watching snowfall total forecasts, Shore residents have been keeping their eye on the threat of major flooding during the nor’easter that is expected to move in Friday night and linger through Sunday morning. Tides will be running higher than normal due to a full moon, which will exacerbate the storm surge that will arrive along with the storm. Forecasters with the National Weather Service office in Mount Holly have pinpointed three high-tide cycles over the course of the weekend that will put Shore communities at the highest risk of back bay flooding. As “stacking,” occurs – the accumulation of water in the back bays that cannot escape due to constantly northeasterly winds affecting tidal currents – each tide cycle will get incrementally worse. Indeed, the final tide cycle could be between a foot and 18 inches higher than the first, according to most estimates provided by NWS sources. Most meteorologists agree that there changes to the storm’s track could help alleviate flooding. Northeast winds are responsible for the bulk of the stacking effect, so if the storm were to move faster than currently predicted, north winds would likely result, lessening the flooding risk. The storm surge threat at times of high tide are twofold: ocean high tides will put pressure on the Brick-Mantoloking sea wall, but will likely be more of a severe threat in areas that remain unprotected, such as Ortley Beach and portions of Point Pleasant Beach. The back bay flooding, which occurs hours after the ocean high tides, is where the stacking will occur. The high tide cycles of concern, according to the NWS, is the Saturday AM high tide, Saturday PM high tide and Sunday AM high tide. Mantoloking Bridge (Barnegat Bay): 11:28 a.m. Saturday; 11:56 p.m.; 12:12 p.m. Sunday. 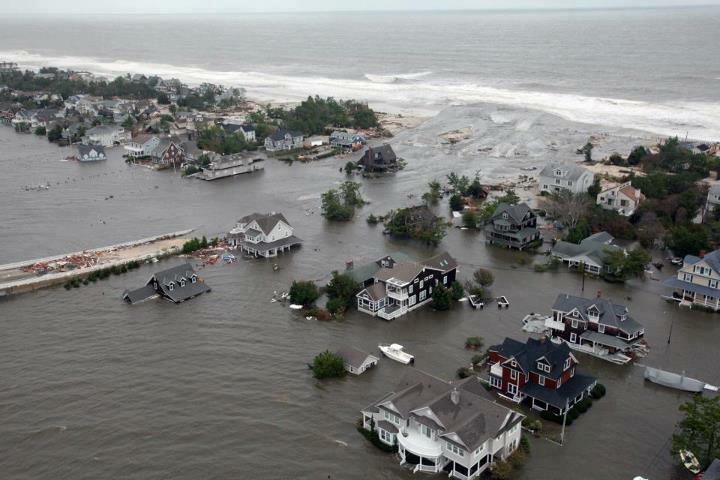 Ocean Beach (Barnegat Bay): 11:17 a.m. Saturday; 11:45 p.m. Saturday; 12:01 p.m. Sunday. Seaside Park (Barnegat Bay): 10:40 a.m. Saturday; 11:08 p.m. Saturday; 11:24 a.m. Sunday. Island Beach State Park (Barnegat Bay): 1-:04 a.m. Saturday; 10:32 p.m. Saturday; 10:48 a.m. Sunday.